Home > Walgreens > Free Children’s Dimetapp | Starting Sunday at Walgreens! 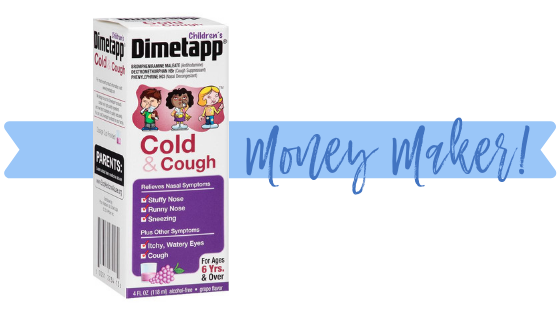 Free Children’s Dimetapp | Starting Sunday at Walgreens! Starting Sunday, pick up two bottles of Children’s Dimetapp for FREE! Use two paper insert coupons, submit two Ibotta rebates and get a $3 bonus reward to make them free + $1.02 profit! Check out the scenario below.